“The people who understand process are the ones who get things done,” MSU alum Mark Hoffman told students in Michigan State University’s Master of Public Policy (MPP) program on Tuesday. Hoffman should know. 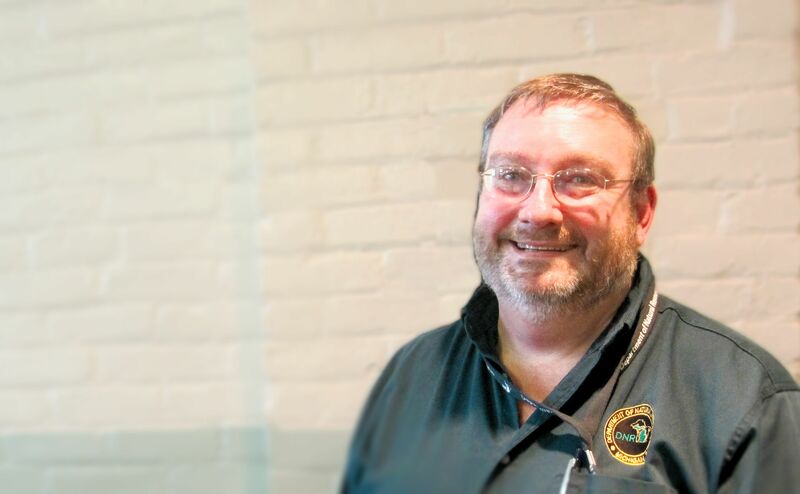 Currently the Chief Administrative Officer for the Michigan Department of Natural Resources (DNR), Hoffman has over three decades of experience in state politics and government. 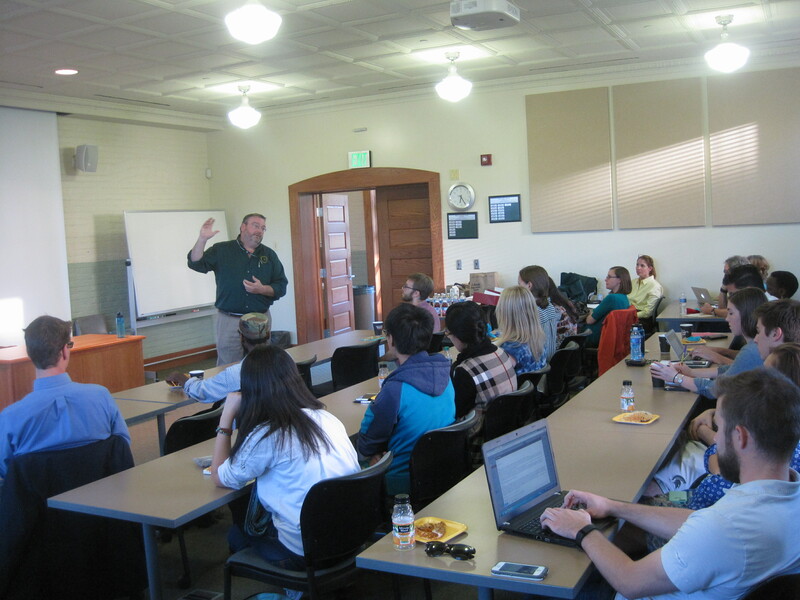 In a lively talk with MPP students and faculty at Marshall-Adams hall, Hoffman shared some of the wisdom he’s acquired through working with the Michigan legislature, the Michigan Lottery, the state’s now-defunct Department of History, Arts and Libraries, and the DNR. “Knowing the process” was one of Hoffman’s key messages. In the legislature, said Hoffman, knowing the process means understanding how bills get through committee and are brought to the floor and how coalitions among lawmakers are built. In executive branch agencies such as those where he’s spent the latter part of his career, knowing the process means understanding procurement procedures, knowing how to get along with unions, and learning how to balance the interests of multiple stakeholders. Hoffman was interested in politics and government from a young age. It took him six years to get his bachelor’s degree in history from MSU, because, in his words, “I kept dropping out to work on political campaigns.” His enthusiasm for working on statewide policy issues has not waned. Hoffman painted a picture of creating and enacting state policy as a dynamic, creative, challenging, and rewarding process. In his current post at the DNR, Hoffman said he and his staff must constantly balance the sometimes competing demands of environmental protection, recreation, and economic development. He’s proud of the creativity his agency has shown in finding that balance. For example, he noted that by planting jack pine throughout the state and harvesting it responsibly, the DNR helps sustain an important timber industry while also preserving the habitat of the Kirtland’s Warbler, a rare species of bird that lives only in jack pine forests in Michigan, Wisconsin, and Ontario. Balancing opportunities for both “quiet” outdoor recreation like hiking and camping and “loud” recreation like snowmobiling, combatting invasive animal and plant species, fighting forest fires, and providing rural law-enforcement services are among the many challenges Hoffman and the DNR address every day, he said. Hoffman invited MPP students to consider a wide range of opportunities for getting hands-on experience with the DNR during their course of studies, from writing a research paper for a class about a DNR-related topic to interning for a semester or summer with the agency. He said the skills MPP students are acquiring could be put to good use to help answer pressing questions about managing Michigan’s natural resources. For example, one Spartan alum currently working at the DNR is using data analytics to try to improve the agency’s understanding of what motivates Michiganders to purchase fishing licenses and make use of state campgrounds and other recreational facilities. MSU’s MPP program prides itself on providing students not only with academic training, but with opportunities to interact with people working in the field. To this end, Hoffman’s presentation was a great start to a school year that will also include presentations from a member of the Michigan House of Representatives, representatives of the Governor’s Executive Office and the Department of Licensing and Regulatory Affairs, and MSU alums working in international development and other fields.